St. Louis has been my home my entire life, and I am truly passionate about watching this city and the surrounding areas blossom to their full potential! Redfin has ranked St. Louis as the most affordable housing market for millennials in 2019, and the area has seen incredible growth in the job market, housing and business development, and restaurant and entertainment industries in the last few years. I hope to show my clients the potential that this area has while preserving its colorful history. My background in hospitality management has truly enriched my mentality about my role as a real estate agent, and given me the tools I need to be of service to my clients. I am in the business to assist home-buyers in creating memories and experiences with minimal stress, and sellers in pursuing their future goals! With me as your agent, you can be sure that even the smallest details will be handled with care. I joined Exit Elite Realty in 2019 as a new agent due to the community-feel and support of experienced agents and brokers I witnessed there during my own home-purchasing, and continuously see that positive support daily. My husband and I live in south St. Louis city with our two dogs and two cats. I enjoy spending my free time checking out area hot-spots and culinary experiences, connecting with the St. Louis community by attending local events, yoga, hiking, and reading a good book with one of my pets on my lap. Feel free to contact me by email or phone and view my current listings through my website! Real estate is not the same everywhere and certainly not the same to all people. Knowing your local market, knowing the business, and most importantly knowing what my clients what to achieve help differentiate my service form others. Whether you are looking to purchase your starter home, dream home, or anything in between, I have the market knowledge and connections to ensure you absolutely love the next place you call home. Looking to sell? I have you covered there too. Market trends change, and they can change fast, so it is vital that you always have an agent with their finger on the market’s pulse representing you. My experience combined with daily market tracking and extensive, proven marketing techniques help guarantee your largest investment is in good hands. Residential to Commercial listings, I have the experience necessary to get you the best price possible. Lastly, real estate investing. Real estate offers very lucrative profit margins, as well as stable investment opportunities, but there are no substitutes for experience. You need an agent who doesn’t just know the business but practices it at the highest level. I have experience with fix n’ flips, single unit and multi-unit rentals of all sizes. If you are considering investments in real estate of any scale I highly recommend giving me a call to discuss the possibilities. Hi! My name is Deanna Shute. I am a mother of a beautiful teenager, Caydie. I also have a handsome infant son, Carson. I am married to Matthew. He is a marine veteran and also a St. Louis County Police Officer. We value strong morals in our home and use those beliefs in our professional life. I am active in the St. Louis County Police Family Association and also help with donations to other charities. I can't wait to work with you! Hi, my name is Kathera Nicolay. I am a Realtor in the St. Louis area specializing in South County and Northern Jefferson County. Mainly: Oakville, Mehlville, and Lindbergh School Districts, as well as Affton, Bayless area, Crestwood, Sunset Hills, Arnold, Imperial, and other surrounding communities. I have been a licensed Realtor for 12 years focusing on buyers, sellers and even new construction! I chose to continue to grow my business with Exit Elite Realty for many reasons. Not only do they offer the most extensive training around, they offer more free and unique technology than any company out there. As a company, the continued support and guidance is immeasurable. This company makes me want to be a better Realtor. I have an outstanding team behind me that has truly become a family to me. My husband and I are raising our 2 children in Oakville. Our son Bryce is in middle school and is an avid baseball player. Most weekends during the summer you will find us at the fields watching him play. Hailey is in elementary school and plays softball. She also enjoys any school activity she can get involved with and loves to try out new sports. I love real estate because it gives me the opportunity to do what I love and the flexibility to be available to my children. Being able to work from anywhere is a huge plus! My family is my why! Greetings! My name is Kellie Villani and I am a Realtor® with EXIT Elite Realty! Navigating the process of selling, buying, or investing in real estate can be an exhausting and scary process. As a Realtor® who has represented clients in the Greater St. Louis Area for the past several years, I offer a wide variety of knowledge to everyone in order to maximize their experience. Each community in the area offers something different and I love to share my knowledge with others. 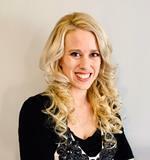 “Kellie was very helpful to us while purchasing our first home. From the moment I filled out a contact form, she returned my call even though it was late in the evening. She worked with us for over 6 months through a failed first attempt, and while dealing with a time-intensive short sale. I would absolutely recommend her and will use her in the future.” --Tim P.
When I do take some personal time for myself, I enjoy spending time with family and friends, taking in the occasional concert or reading a great book! To find out how you can own your own piece of this great community, please contact me at 314.681.4063 or kvillani@gmail.com. Please text MYSTLREALTOR to 85377 for my Mobile Business Card™ for convenient access to my contact information. Comprehensive communication with my clients is my signature trademark. Through diligent monitoring and coordination of every transaction from beginning to end, I am confident I can provide you with the very best counsel and service for your real estate needs. My dedication will ensure a smooth, timely and worry free experience. With a bachelor’s degree in marketing, I treat each property individually and customize creative selling techniques such as home video tours set to music, social media advertising, full color listing brochures, and home staging tips and advice. I appreciate you as a potential client and sincerely hope that you will contact me if you have plans that include the sale or purchase of real estate. Let Lori Welcome You Home! Mary is an honest, caring, experienced and motivated St. Louis-based, licensed realtor with Exit Elite Realty. Having lived in St. Louis all of her life, Mary's knowledge of the unique attributes of communities all around the St. Louis City/County and Jefferson County area are invaluable when assisting you through the selling and purchasing process. For over 20 years, Mary has worked in sales with a high level of customer service and customer retention. Mary highly values relationships and communication and will work tirelessly to understand and meet your needs. Three ingredients are vital to every successful business relationship. Listen in order to accurately understand your client’s need. Offer the best product available. Mary's committment to you is... to make you her # 1 priority when you choose her as your Realtor. Whether you are looking to sell your home or purchase a home call her today! 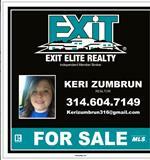 I am an experience and motivated real estate sales agent at Exit Elite Realty. I have been one of our Top Five producers in sales over that past couple of years. I listen to what my clients desire to keep them excited weather they're buying or selling. I am from the Jefferson County area and have also done several transactions in the surrounding counties as well. You may contact me on my cell phone 636 575 3453 or by email at michaelabieri@yahoo.com. You will have a pleasureful home buying or selling experience! Hi, my name is Michael Kelly and I am with Exit Elite Realty. I want to introduce myself and give you some information about me. With over 20 years in real estate experience in both residential and investment, I can offer you a wealth of knowledge. I can assist you with all your real estate needs, including HUD, VA, R.E.O., short sales often at 30-50% below market, the sale of your home, marketing and analysis, and finding you the perfect new home. I also think you will enjoy my local, friendly, customer-oriented approach. Be sure to view all e-mails daily so you will know instantly when your dream home hits the market. Please keep in mind that buying your new home may depend on selling your current home. If you live outside my area, I can refer you to one of my many associates around the country. In this buyers’ market rates are still low and inventory high. If I can assist you with any of your real estate needs, please contact me at 314-757-0891. Looking for a Realtor That works for YOU!! Contact the Whetstone Home Team. Buying or selling a home can be a major life decision. Our full time team of professionals epitomizes integrity, hard work, and creative services in every detail of your real estate transaction. We consistently go the extra mile and have a reputation for tenaciously protecting our clients' interest. As lifelong residents of Missouri we know the neighborhood and are the local experts. We also have a short sale, estate, probate specialist that can help make the process smooth and stress free. Thinking of selling your home?? Our professional marketing team is able to provide you with an upgraded marketing strategy. We will only bring you READY, WILLING and ABLE BUYERS and negotiate the highest price, with the best terms, in the most reasonable amount of time. Your marketing coordinator stays in constant contact giving you updates and feedback throughout the entire process. You will never have to worry about knowing where you stand or the “disappearing agent” after the sign is placed. We are by choice a “value –added real estate team” not a “discount broker”. From contract to close save your precious time and take the stress and confusion out of buying a home. NO automated systems here. Our buyer consultation allows us to customize your search ensuring that you get accurate up to date listings of the home YOU want. With a full time showing agent available to fit your schedule takes away the worry and makes your search a pleasurable experience. Even after the contract is written you will never wonder what to do next. In addition to constant contact from us you will receive our written contract to close process that spells it all out for you. Making sure you get to closing smoother with less stress. 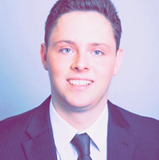 Nathan Merry is a licensed real estate agent with Exit Elite Realty. He continually strives to flourish as a professional real estate agent by listening to the needs of his clients, making their best interests priority and assisting them in achieving their ultimate goal. Nathan understands that everyone, and every situation, is unique. When working with Nathan, you will quickly realize that your satisfaction is his top priority. Nathan takes the time to understand your individual needs so that he can provide you with all of the information you need to make the best decision for you. Buying and selling real estate, at times, can become a very difficult feat. Nathan’s extensive background in public service allows him to pay close attention to detail and to successfully finish the job. For all of your real estate needs, you may contact Nathan by phone at (314) 605-7523 or by email, NathanMerry@att.net. 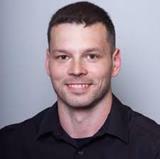 Nathan Merry is a licensed real estate agent with Exit Elite Realty. He continually strives to flourish as a professional real estate agent by listening to the needs of his clients, making their best interests priority and assisting them in achieving their ultimate goal. Nathan understands that everyone, and every situation, is unique. You will quickly realize that your satisfaction is his top priority. He takes the time to understand your individual needs so that he can provide you with all of the information you need to make the best decision for you. Buying and selling real estate, at times, can become a very difficult feat. Nathan’s extensive background in public service allows him to pay close attention to detail and to successfully finish the job. For all of your real estate needs, you may contact Nathan by phone at (314) 605-7523 or by email, NathanMerry@att.net. Hello! I'm so glad you've found me here. I have worn many different hats in my 12+ years in real estate. Everything from a receptionist for an investor, a property manager, a contract administrator and customer service rep for the areas largest home builder and my all time favorite...a licensed agent. I have loved helping people buy and sell homes. It truly is my passion. I would love it if you'd give me a call and let me put my passion to work for you! I am a trusted agent; please check me out on Zillow! I look forward to hearing from you and working with you soon. Making real estate dreams a reality....there is nothing better to me!